We have kids classes for kids 5-16 years old that provide character development and personal growth that affects every area of life. 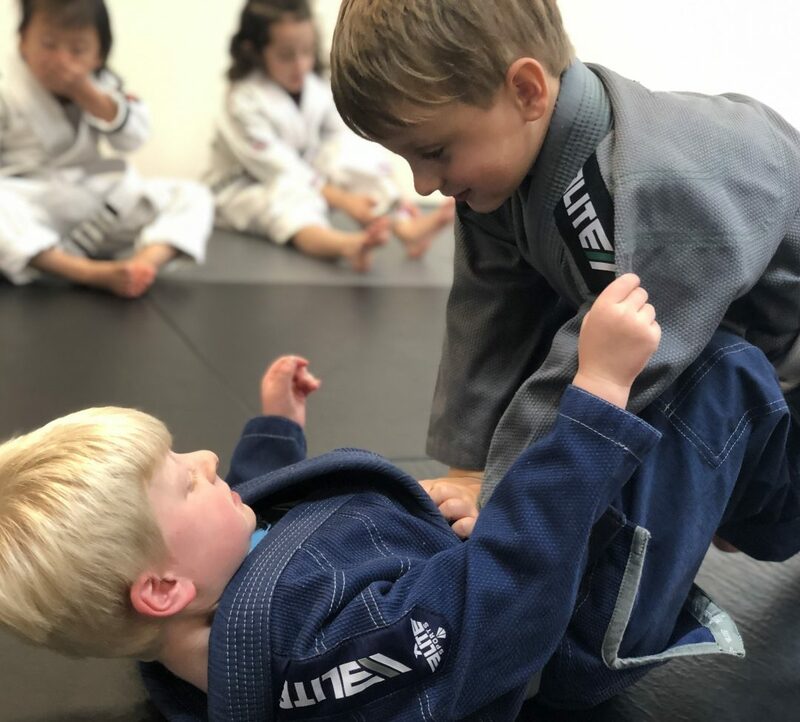 Our youngest group of kids get introduced to jiu jitsu in shorter, 45 minute classes designed to keep them active, engaged, and learning jiu jitsu movements in a fun way. In these 1 hour classes, kids are ready to add more complex movements and strategies and they begin to spar more which really advances their skills and improves self-confidence. They learn that their techniques work even against resisting opponents. Our tween/teens classes are structured very similar to the adult classes – but organized so the kids get to interact, learn, and motivate each other. We even have open mats where teens and adults get to participate together. It’s a full jiu jitsu curriculum, but taught in a very structured manner that works well with teens. 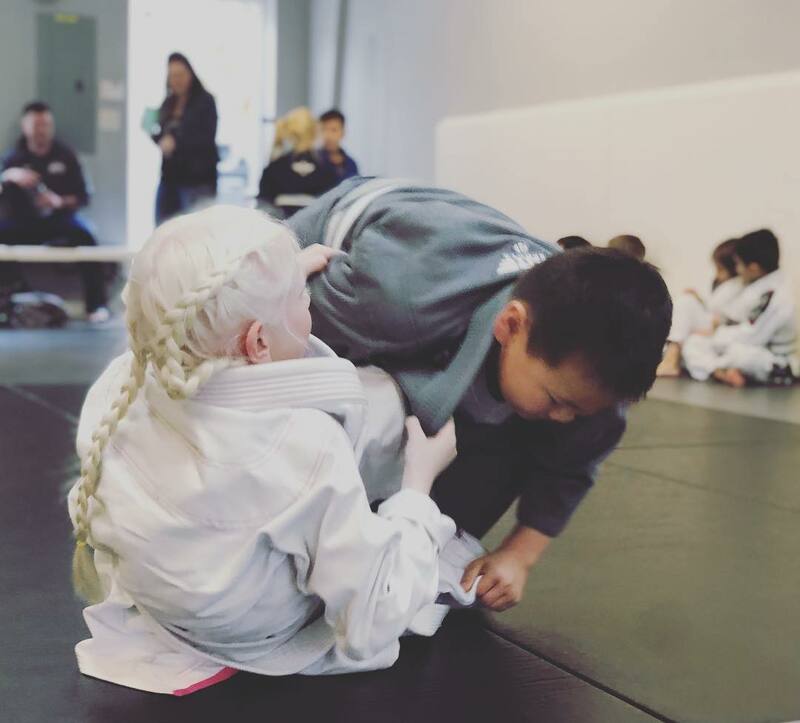 We teach kids how to confront bullying with both verbal response techniques and jiu jitsu self-defense which is the best non-violent self-defense for children and teens. By learning these skills, kids gain the self-confidence to defuse confrontations before they escalate and the skills to protect themselves, if needed. Bullying is one of the most serious and consequential social issues in schools today, and it has ripple effects throughout our communities.